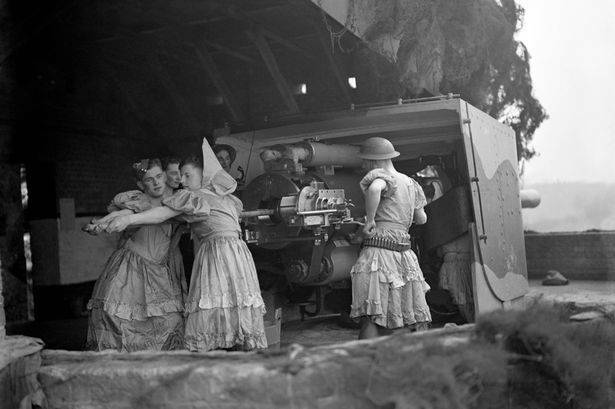 Recently unearthed photos reveal one of the lighter hearted moments of World War Two , as British soldiers are seen manning anti-aircraft guns in full panto drag. However 80 years ago the wartime government had the pictures banned so as not to 'damage' the image of the British soldier . 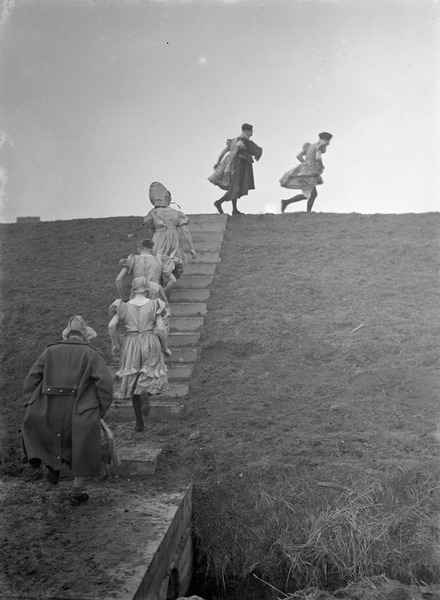 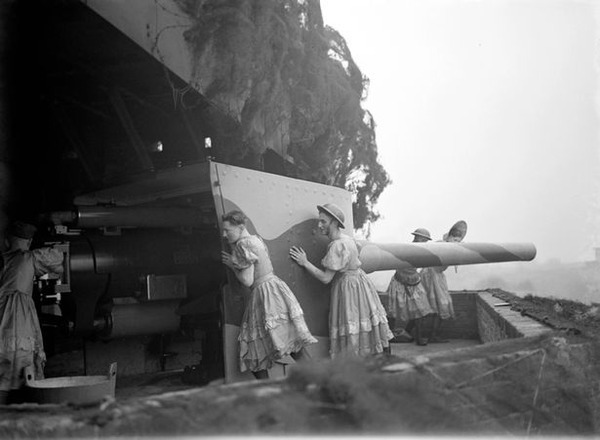 Taken in 1940, pictures show the gunners going about their business in dresses, complete with their usual helmets. 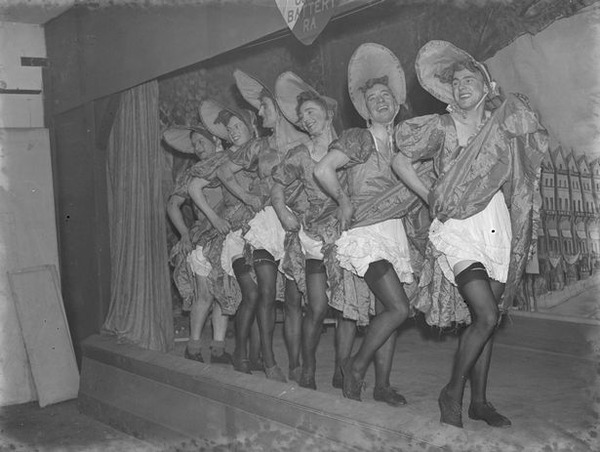 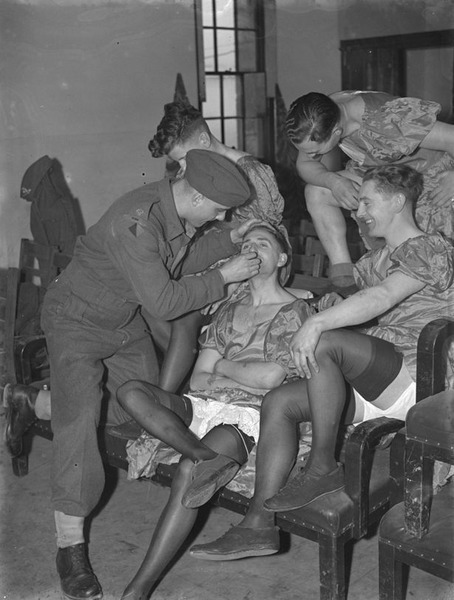 Others show the men applying makeup to each other, running up steps as their dresses blow in the wind and showing off their undergarments on stage. 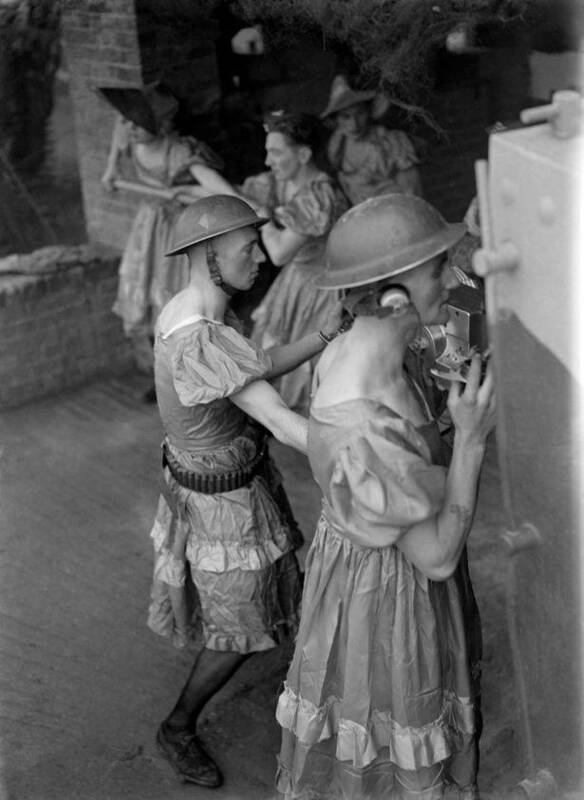 This set of photographs, taken by John Topham while working in RAF intelligence, was censored by the British Ministry of Information when they were taken during the Second World War. 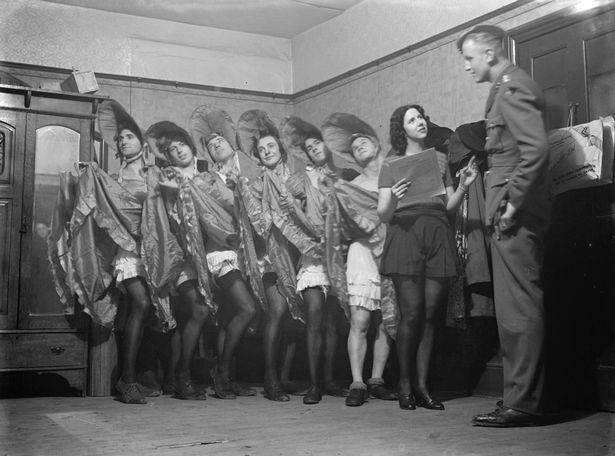 But now the photographs can be seen for the first time after the originals were found in the archive of the veteran Fleet Street photographer.